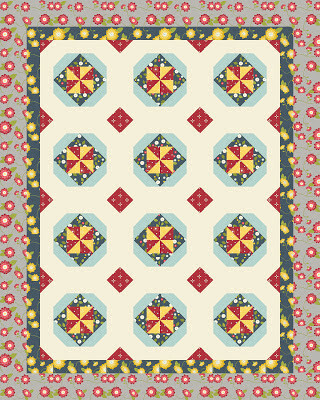 I entered a quilt design in the Wallflowers Quilt Design Contest over on Threadbias. Voting opens today and will remain open until July 12th. You must be a member of Threadbias to vote but membership is free and it's a really fun website. This is my quilt in case you would like to vote for me. :) It is called "Pinwheels in the Garden." 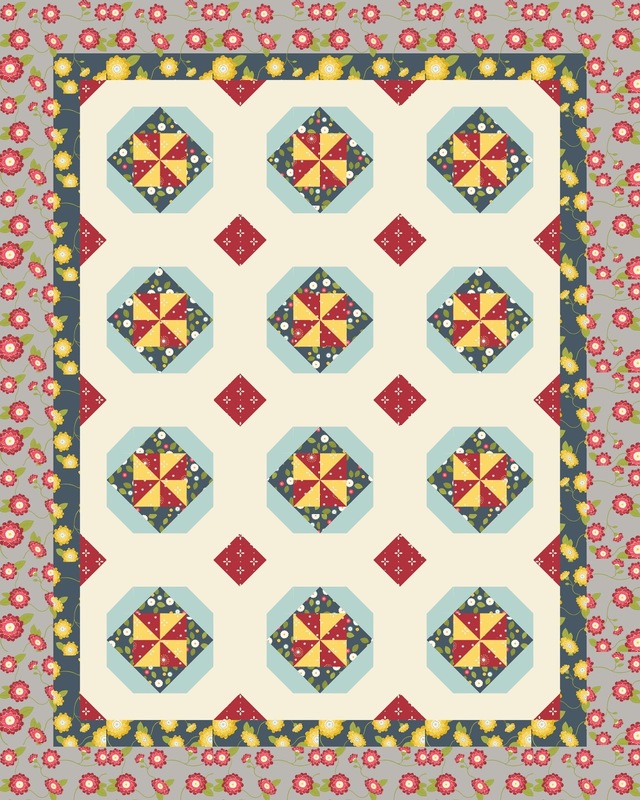 The designer of the Wallflowers fabric line, Allison Harris of Cluck Cluck Sew, will choose a winner from the top five quilts. The winner will receive the fabric to make her quilt.